A single Mk2 was converted by Jones Brothers following an idea by Mike Hawtorn. The full project was cancelled after Mike's tragic death but the prototype car was continued by the factory - it was called the "Mk2 County". 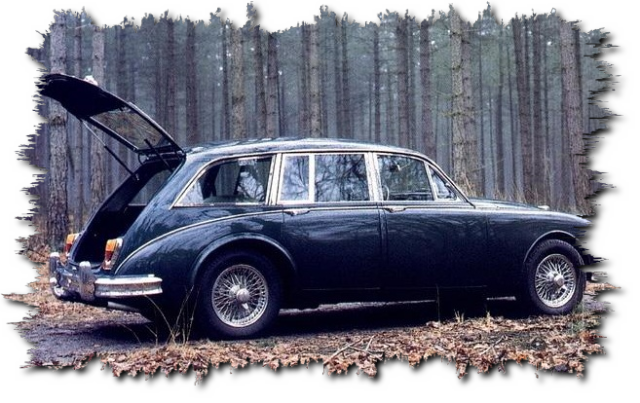 After completion, it was used by Jaguar as a fast assistance car for the works Mk2's that were being used in a races. It is now part of a private collection in The Netherlands with others one-off estates.